This unique compilation on the Eurasian states of the former Soviet Union introduces the little-known, yet strategic heartland of the world. Some of the information included has never before been published; none has been assembled in such a manner in which interrelationships of culture, history, diplomacy, economics, and defense are so clear and understandable. 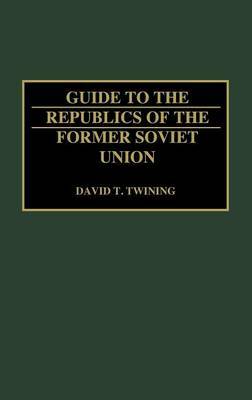 Following an overview of the Soviet Union and its recent history, the guide examines each region and each state. Information is provided on the political structure and policies, the military, and the economy. The remnants of the Soviet Union, such as the military-space complex, are described, as are the key emerging leaders. The volume concludes with a bibliography and general subject index. It is a useful reference for students and scholars alike, and for all who need to understand the contours of the new Eurasia.